A gradual taper to a round bodied needle. 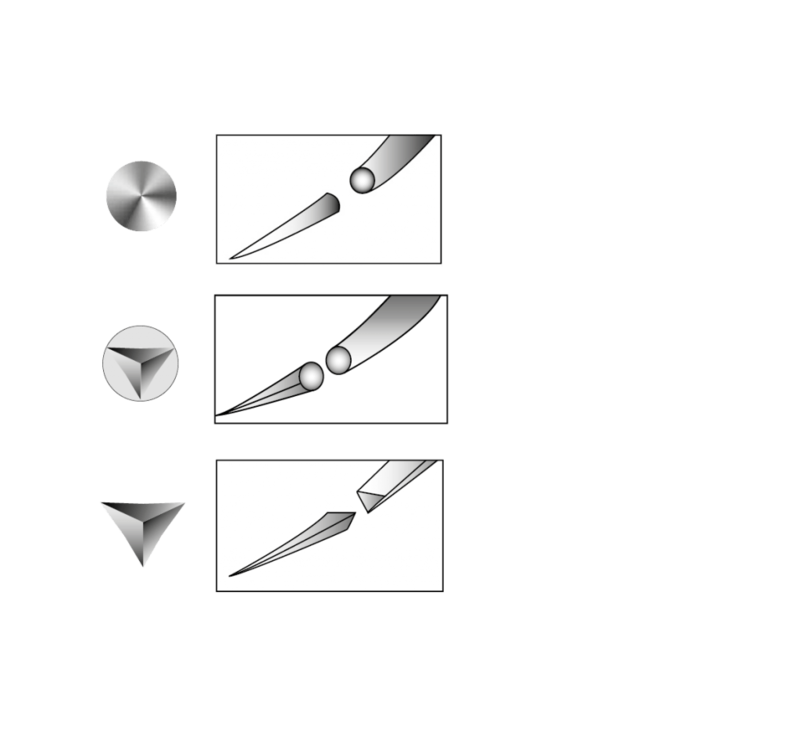 Balanced, cutting point-tapering into a round bodied needle. A triangular body offers a third cutting edge on the outer convex curvature.